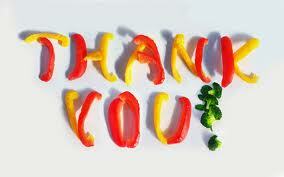 I just wanted to take a minute from cooking and blogging to thank each and every one of you that follow me on my blog. Your comments,tips and likes really push me to move forward in my Culinary dream. I have reached an amazing number of followers in just 8 months, and I just wanted to THANK YOU! I will continue to show you more amazing dishes and great products. Just remember with creativity and imagination you can create anything beautiful.